Les Everman, standing in orange, works on an International Home Exports model home. The homes are assembled incountry, which creates more jobs for local workers, said Joe Booth, the companys vice president of marketing and sales. 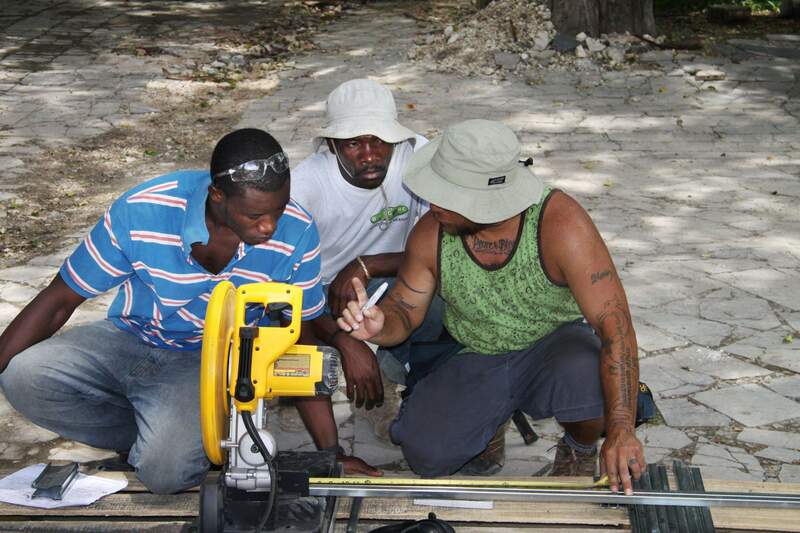 International Home Exports employee Guy Muñoz teaches Haitian workers how to measure and cut steel for a model home. Light-gauge steel is the main framing component for many of the companys low-cost homes. 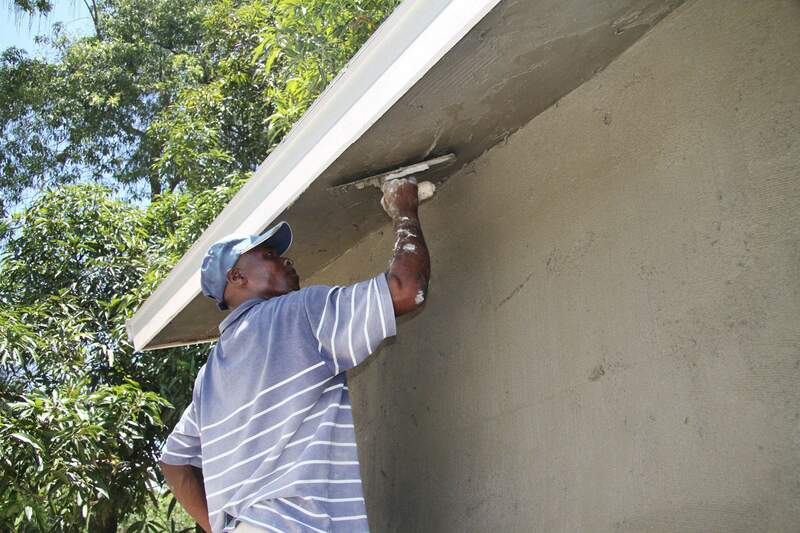 A Haitian worker plasters a newly installed roof on an International Home Exports model home. Last summer, the company taught about 35 workers how to build its homes. 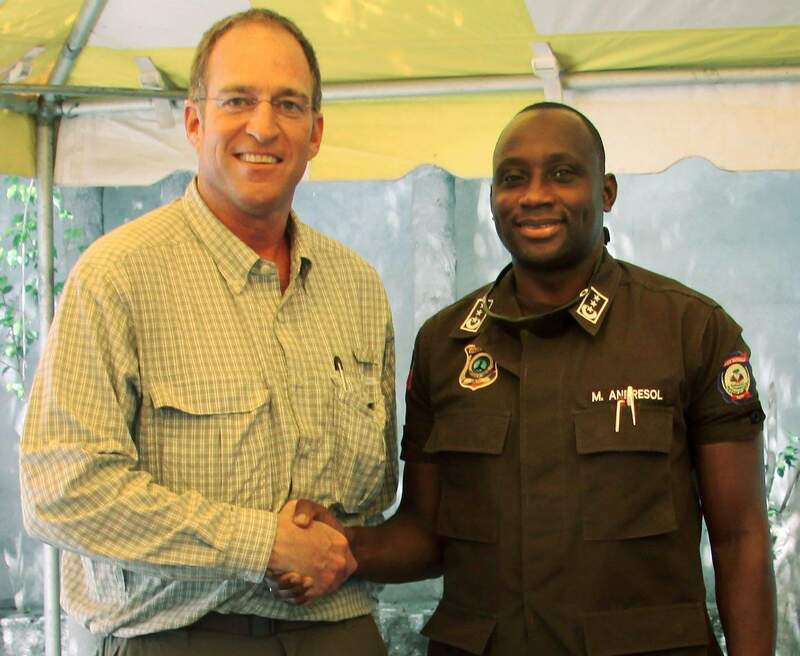 Durango resident Joe Booth meets with Chief of the National Police Gen. Mario Andersol about building houses for 10,000 of his police forces who lost homes in the earthquake. 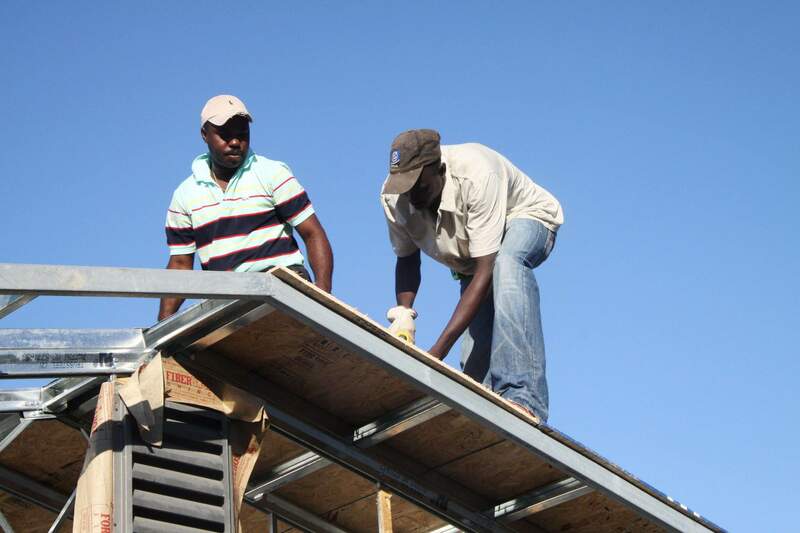 Haitian workers install roof sheathing on an International Home Exports model home. Last summer, the company taught about 35 workers how to build its homes. 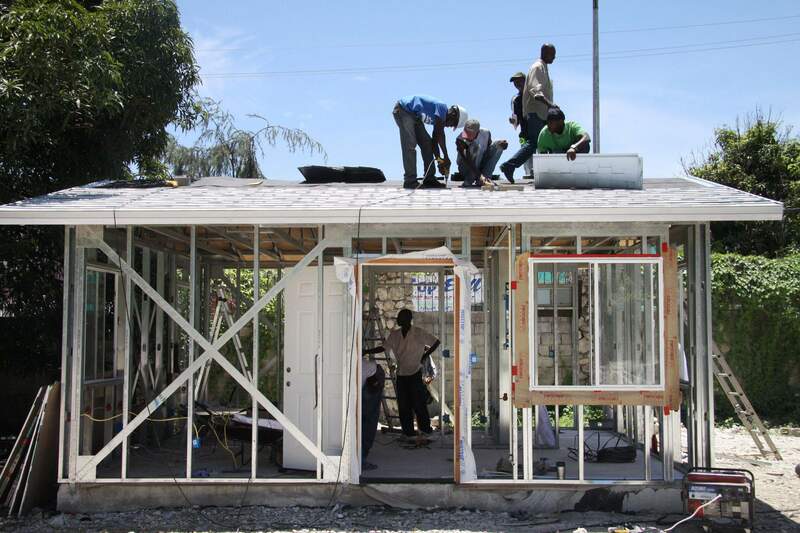 Haitian workers install roof sheathing on an International Home Exports model home. 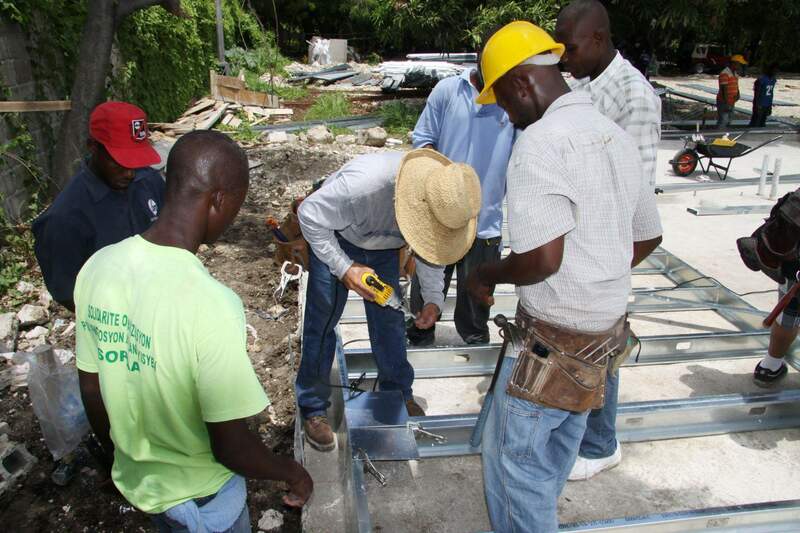 Haitian workers install hurricane-resistant steel roof panels on an International Home Exports model home. The homes are assembled incountry, which creates more jobs for local workers, said Joe Booth, the companys vice president of marketing and sales. Editors note: It has been a year since a 7.0 magnitude earthquake ripped through Haiti, leaving in its wake billions of dollars in damages and more than 300,000 dead, 1.5 million homeless and many recovering from serious injuries. In the weeks and months after the disaster, relief aid poured in from around the world, including from generous residents of Southwest Colorado. Local schools, churches, businesses and individuals took collections, held events and emptied piggy banks to contribute to the cause. In this three-day series, the Herald checks back with people whose involvement in Haiti has stretched beyond the initial weeks after the tragedy. Though the worlds attention has waned over the year, these local individuals and organizations have continued to work to improve the desperate condition of the country and its people. In the wake of the most destructive earthquake in the countrys history, the situation in Haiti has turned into a waiting game, Durango resident Joe Booth said. As vice president of marketing and sales for International Home Exports, Booth has been on the front lines of the international communitys redevelopment and reconstruction efforts in Haiti. International Home Exports, a San Diegobased international building supply company that specializes in affordable housing, was one of several chosen by the Interim Haiti Recovery Commission to help rebuild the country. The commission, co-chaired by Haitian Prime Minister Jean-Max Bellerive and former President Bill Clinton, oversees the Haitian governments plan for national recovery and development. Since the earthquake one year ago, International Home Exports has teamed up with U.S.- and Haiti-based redevelopment groups, engineers, contractors and builders and has readied its product line to start shipping and building homes. The only holdup is international funding, Booth said. The Haitian government has not cooperated well with the international community on rebuilding efforts, so the commission is hesitant to begin releasing more of the $5 billion in aid promised by the international community, Booth said. Recently, civil unrest in the wake of the November presidential elections and the upcoming runoff in February combined with the recent cholera outbreak and the holidays have added even more instability, he said. Hoping the new administration will prove better to work with, the Interim Haiti Recovery Commission is waiting to release the rebuilding money until the next president takes office, Booth said. 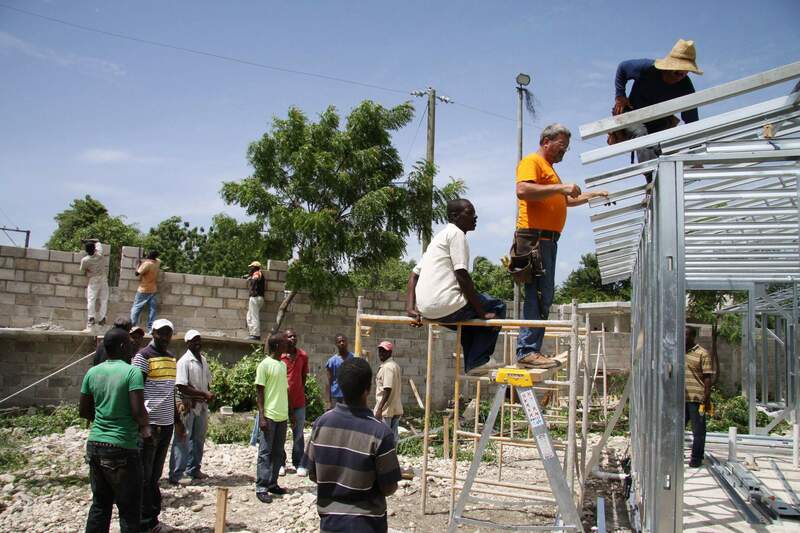 For his company and many others waiting for the official go-ahead to start work in Haiti, Booth said the process has required a lot of patience. Everybodys in a holding pattern, he said. Even after the money is released, the process will be slow to transport building materials through Port-au-Princes crowded port and across the country, he said. Rebuilding the country will take 20 years or more, he said. Since the earthquake, Booth has visited Haiti four times to build model homes, which cost on average about $18,000 each, and to meet with public and private partners. From what he has seen, the people of Haiti are getting impatient, he said. Everything is starting to break down in the temporary tent cities around the country, and much of the blame for the slow rebuilding effort gets directed at overworked nongovernmental organization workers who are operating temporary humanitarian efforts. The upcoming year will be critical for the countrys recovery, Booth said.